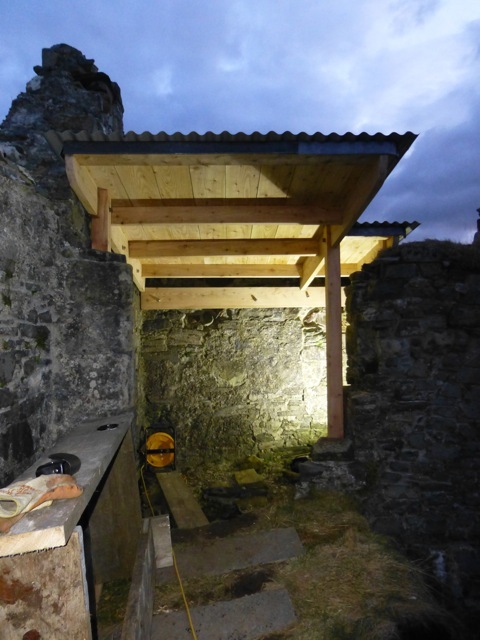 During the early summer of 2013 a small team of skilled craftsmen designed and built a new roof over the staircase. Within a very short time it was apparent that the new roof was doing its job. The staircase was much drier and so were the floors below.